Merdell L. Haberl, nee Mueller, 91, of Waterloo, IL, died March 19, 2019, in Red Bud, IL. She was born July 25, 1927, in Renault, IL. She is survived by her children Kurt (Ann) Haberl, Chris (Judy) Haberl, Ken (Melanie) Haberl, Brian (Marilyn) Haberl, Jeff (Gina) Haberl, and Karen (Kent) Jones; 12 grandchildren; 11 great grandchildren; sisters and brother Aleda Doelitzsch, Lynn (Homer) Kerr, Evie Heldt, Ermett (Lena Maude) Mueller, and Karen (Neal) Rabe; sisters-in-law Emma Jean Helfrich and Joyce (Stanley) Lehr; brother-in-law Jerry Haberl; nieces; nephews; and cousins. Merdell is preceded in death by her husband Wilbert C. Haberl; parents Herman W. & Dora (nee Offermann) Mueller; grand daughter Erika Christine Haberl; great grandson William Daniel Foster; brother Marvin Mueller; and sister Verna Theobald. She was a member of Immanuel Lutheran Church - Waterloo. She retired as the head cook at SS Peter & Paul Catholic School cafeteria where she had worked for 17 years. 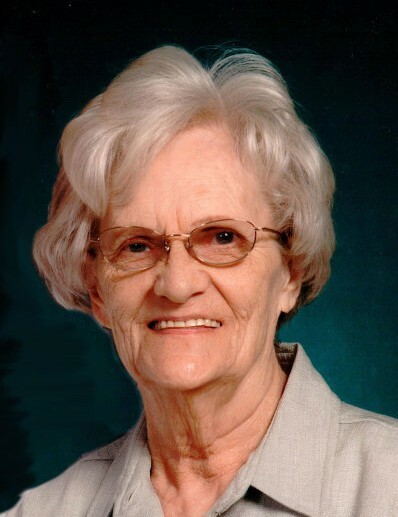 Her greatest joy was raising her 6 children and being with her grandchildren and great grandchildren.